Michael Connelly was a reporter before he was a novelist. This book is a collection of the articles he wrote, some for the Florida paper he worked for and some from Los Angeles. The first article he talks about how he became a reporter and what he learned that helped him when he started writing fiction. I have not read any of his novels, I’m sure they are very good. I am of the opinion that reporters write the best books. There are of course exceptions. Having read this book, I am sure I would enjoy his novels. The thing to remember is these are newspaper articles and that is how they read, this is not like reading a story or something meant to be published in a book. That being said they are all very interesting. The book is divided into 3 sections: Cops, Killers, and Cases. He was allowed to ride around with the detectives, and to spend time in the squad room, this gave him insight into the personalities and coping mechanisms of police officers. I would recommend this book to true crime fans. 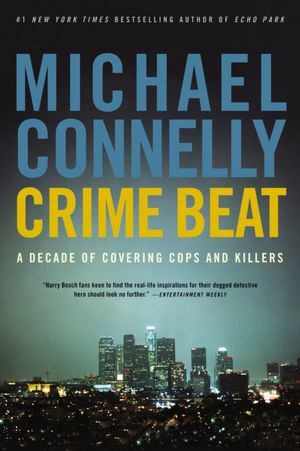 Posted by Belleza on October 31, 2012 in 2012, Non-Fiction, True Crime and tagged Compilation, eBooks, Library Book, Liked it ♥♡, Michael Connelly, Recommended to read.